26-year-old bandleader-saxophonist-singer-composer Grace Kelly, fresh off of the success of her groundbreaking two-part 2018 video album GO TiME: Brooklyn, is announcing a new project in the series called GO TiME: Live in LA which will release worldwide on April 12, 2019. The LA album will rise to the high technical and artistic bar set by GO TiME: Brooklyn — including imaginative “Graceified” arrangements of jazz standards and popular songs, new original music played by a world-class band, and choreography performed by acclaimed improvisational tap dancer Sarah Reich — while tackling the challenge of producing the most authentic and engaging multi-sensory music experience possible for fans all over the world. Kelly will kick off her album release tour in April at Boston’s City Winery and New York City’s Joe’s Pub, with more concert dates to come. The new live album was funded by 350+ fans through online crowdfunding initiatives for the GO TiME series and also inspired by the millions of views and hundreds of positive comments and shares on Kelly’s proof-of-concept Pop-Up video series on YouTube featuring the saxophonist and special guests in exotic locales. 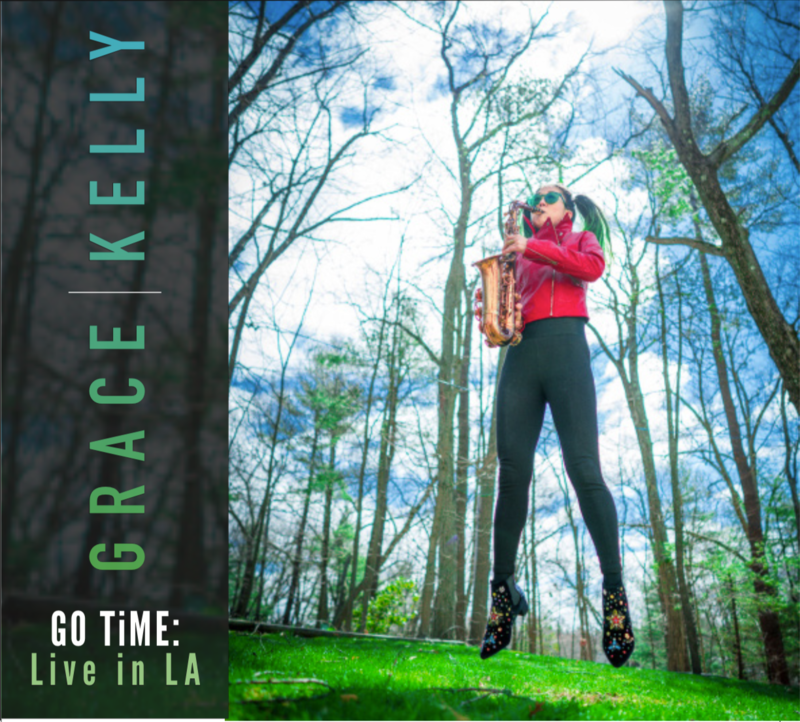 GO TiME: Live in LA will be available for purchase as a digital video album, digital audio download, or physical CDs through the newly-launched store on www.gracekellymusic.com. The audio tracks will also be available on Spotify, iTunes, and other major online music streaming services. For further information about Grace Kelly and to purchase her CDs and merchandise, visit her website at www.grackellymusic.com. She’s also on YouTube at youtube.com/gracekellymusic, on Facebook at facebook.com/GraceKellymusic, on Instagram at instagram.com/gkellymusic, and Twitter at @gracekellymusic.